Written by Stephen Wrabel and produced by Stuart Crichton and Jamie Hartman, the Backstreet Boys‘ “Don’t Go Breaking My Heart” has achieved the #4* Breakout position on the Billboard Dance Club Singles chart. The track marks their first single since “Show ‘Em (What You’re Made Of)” from their 2013 album, In a World Like This. So far, it has broken the 15,000,000 play mark on Spotify and the official video is close to hitting 28,000,000 YouTube streams. With this newest RCA Records release, the Boys get additional support from the dance community with an official remix from Dave Audé. 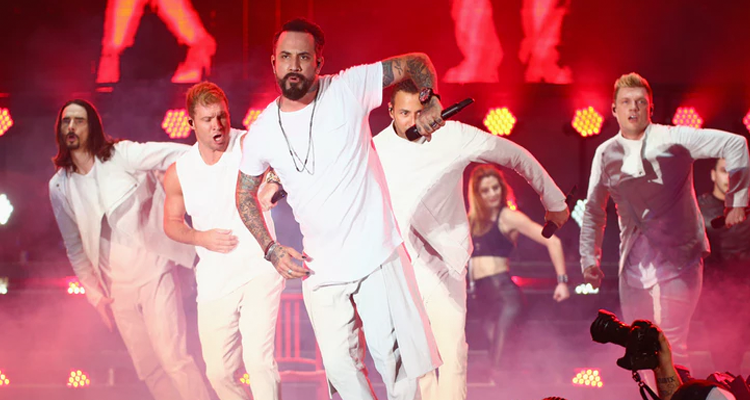 The boyband-turned-manband released a corresponding video demonstrating the quintet’s synchronized dance moves that harken back to their late-90’s and early-2000’s heyday. Watch the video for “Don’t Go Breaking My Heart” below.